'Dominican Today', has reported that two Italian divers are overdue in María Trinidad Sánchez province, in the Dominican Republic. Carlo Barbiery and Carlo Basso dived Dudú Lagoon at Cabrera after noon on Saturday 9 February 2019, despite not being certified to cave dive. It is understood that the cave has a maximum depth of 27 mt / 88.5 ft and is 800 mt / 2,624 ft long. 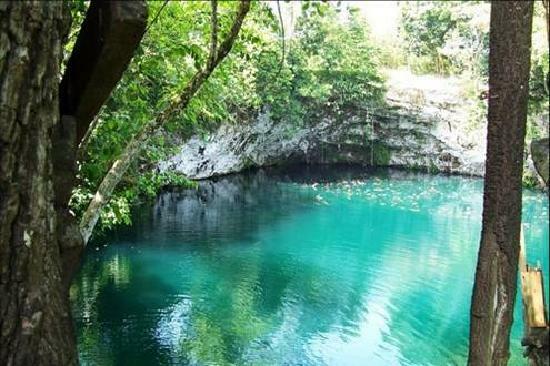 The Dominican Republic Speleological Society (DRSS) has today confirmed on social media that Phillip Lehman, Angel Buy and Denis Bourret conducted a reconnaissance search-and-rescue dive. The team have located one body. It is presumed the second body is in the same vicinity. Body recovery ops have now ceased because of poor visibility, and the body is situated in a complicated, narrow place. The DRSS plans further dives when the visibility clears. The team are working with the emergency operations center (COE), the armed forces and other relief and state security agencies. The owners of the Dudú Lagoon have also been helpful.